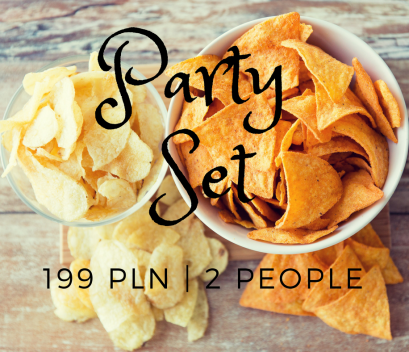 Party with snacks set which is unhealthy but tasty. The key to the choice was products that our guests asked for previously and some Polish specials. Order by email or on our website. Please order 3 days before your arrival but email us to order if you forgot we will do our best to complete your order. Service includes ordering and unpacking shopping in your apartment.